In 2017, the global value of equity assets totaled $70 trillion, debt totaled $100 trillion, and the real estate market totaled $230 trillion. If all of these markets became tokenized, the potential size of the security token (ST) market would skyrocket. The major changes STs bring to the world include: programmable and automated compliance, rapid settlement, fractional ownership, asset interoperability, and increased liquidity and market depth, among many other key advantages. Read the first article in our three part series on the development of blockchain in finance: here. The benefits of blockchain are intrinsic to the technology. However, the process of accelerating the mainstream adoption of these solutions is slowed by the natural skepticism around new technologies. 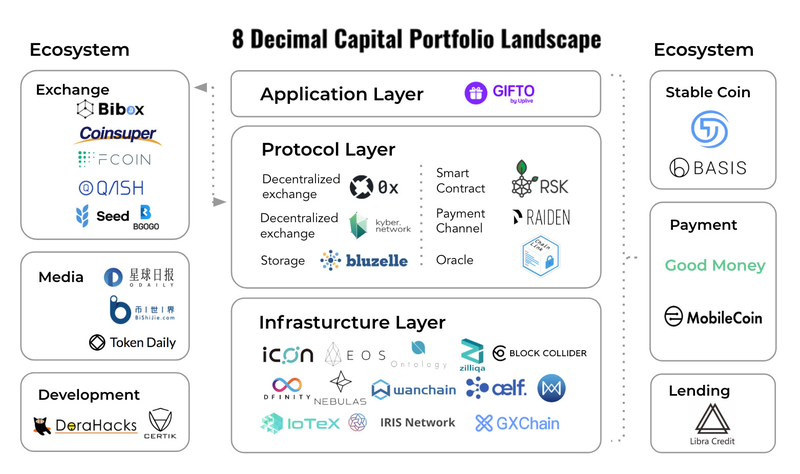 As 8 Decimal Capital works to accelerate the mainstream adoption of the full value of blockchain technology, we have taken a special interest in investing in projects that are building the infrastructure for the future Security Token market. As shown in the graphic below, Security Token Offerings (STOs) are the third wave of blockchain technology. Within the digital transformation of finance, three waves have emerged. The first with payments and transactions, the second with equity and financing, and the third wave is where tokenization and security token offerings offer a great amount of potential. In 2017, the estimated global value of equity assets totaled $70 trillion, debt totaled $100 trillion, and the real estate market totaled $230 trillion. If all of these markets became tokenized, the potential size of the security token market would be beyond imagination. Understanding the regulations required to launch a security token to the market is paramount to the STO’s success. The chart above shows the process over the span of two years. What exactly is a security token (ST)? What are its strengths and weaknesses? In the future, will STs really lead a new wave of digital assets? When people originally would speak about security tokens, they related STs almost exclusively to utility tokens. In order to avoid regulation, some projects often claimed that they only launched utility tokens, which solely acts as a mode of accessing a platform or services, implying their tokens are not securities. However regulators seem to disagree with this logic. When the regulations are applied to STs, the regulatory bodies will adopt the principle of “substance is more important than form.” So it doesn’t matter how you name the tokens, it’s more about if your tokens have the same functions as securities. a）Is this token a stock, bond, or any other form of equity or debt instrument? b）Does this token pass the Howey Test? a）ST 1.0 — The first generation of STs are regulated token products. In the US all securities must be registered with the SEC unless they qualify for exemption. 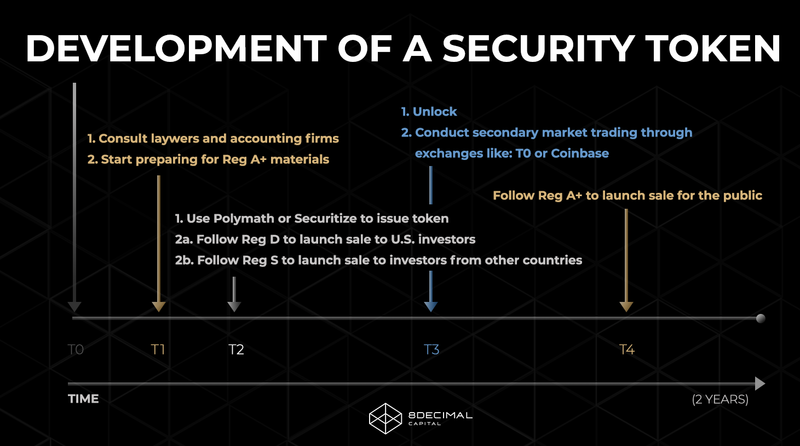 Security tokens apply regulatory frameworks to digital tokens, mainly using exemptions (Regulation S, Regulation A+, and Regulation D). Regulation D and Regulation S exemptions, applicable to US securities, allow for raising funds without registering with the SEC. Reg D is covers private equity law, Reg S deals with US companies with overseas investors, and Reg A+ is equivalent to mini IPOs, requiring two years of audited financial information. b）ST 2.0 — The second generation of STs are ones that simplify the process used to verify assets and investors. This means to simplify the process of KYC (Know Your Customer) and AML (Anti-Money Laundering) filing using smart contracts. By integrating the regulatory rules of different countries into smart contracts, it will become more easier to conduct cross-border transactions. a) A ST is a type of digital asset regulated by federal securities laws and regulations. Simply speaking, it lies at the intersection of digital assets and traditional financial products. b) STs have programmable ownership. If Bitcoin is dubbed as the “programmable currency”, then STs can be dubbed “programmable ownership”. Any ownership assets can and will be tokenized. First, reduce investor risk and strengthen due diligence. In the context of the United States, enacting securities regulation and regulatory exemptions, such as Reg D or Reg S, is the first step towards compliance. In the ST 2.0 era, programmable compliance will be incorporated to facilitate KYC and AML provisions into smart contracts. Liquidity and a global investor base are two key benefits of STs. If Chinese Internet companies want to return to an exchange in another region, they have to go through the process of privatization and delisting, dismantling the VIE structure, and then entering the IPO queue or backdoor. A similar degree of inefficiency also occurs in private markets. Most private assets are illiquid and have high transaction costs. With private assets such as venture capital or private equity investment, exiting your positions before the liquidation of the fund often entails substantial costs. Blockchain offers a solution to this liquidity problem. By transforming these assets into a ST, lock-in periods can be reduced and liquidity can increase from a global pool of investors. Programmable & Automated Compliance and Rapid Settlement: STs need the approval and permission of regulatory authorities to automate KYC/AML and achieve instant clearing. Fractional Ownership: STs streamline the division of property ownership and reduce the entry threshold of high-risk investment products, such as real estate and high-end works of art. Asset Interoperability: The Internet is essentially a bunch of protocols that enable many different types of software to exchange and utilize information (TCP/IP, SMTP, FTP, SSH, HTTP). A standardized agreement on assets will facilitate interoperability between heterogeneous assets and different regulatory bodies. Liquidity and market depth: You can invest in illiquid assets through STs without fear of redemption, and the market depth will increase through the following: 1) The rise in the price of digital assets creates billions of dollars of incremental wealth that will be invested in the market. (2) A Bancor-like procedural market maker to improve the liquidity of long tail assets. (3) Asset interoperability agreements to facilitate cross-border asset flows. a. Excessive liquidity of assets bringing huge price fluctuations. For startups, it often takes a long time to launch an IPO. It takes even more time for their stocks to be substantially liquid. However, STOs can enable startups to be listed on an exchange quickly, obtaining investments from all corners of the globe. Concerningly, startups often face a lot of uncertainties, both positive and negative. These uncertainties coupled with a highly liquid global market can cause volatility in token prices. Consider how Elon Musk’s one Tweet caused a plunge in the Tesla share price. Similar reactions to security token-funded project executives can become common. b. Financial innovation may just accumulate risks to the tail. According to Mikko Alasaarela’s research, “everything that adds to liquidity in good times pushes risk into the tail.” Mainly, the core function of financial institutions as intermediaries is to configure the risk structure of each entity. During the 2008 financial crisis, many shadow intermediaries in the value chain of real estate appeared to be valuable with complex financial instruments. However, in reality, these complex instruments covered up liquidity, term, and credit risks which made risk pricing inaccurate and ultimately became a catalyst for the irrational rise in real estate asset prices. c. Asset securitization and Tokenization requiring comprehensive and costly development. The definition of a security token reminds us of securitization in traditional finance. Securitization refers to the packaging of assets with future cash flows into asset pools, the structured design of cash flows generated by asset pools, and the conversion of low-liquidity assets into high-liquidity asset-backed securities (ABS). 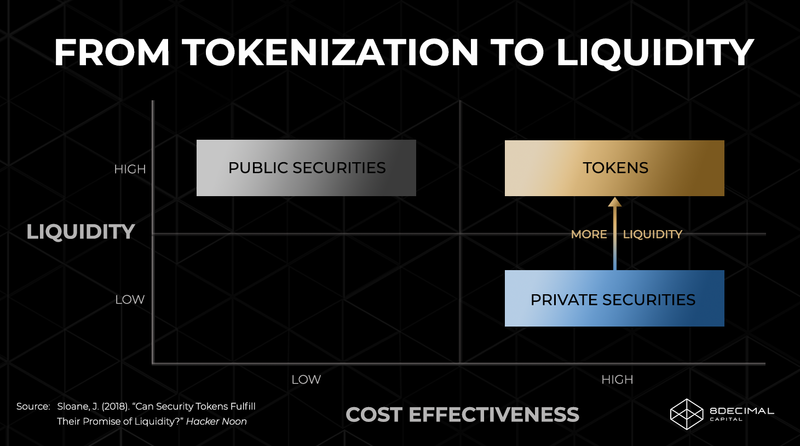 What is the difference between security tokens and traditional asset securitization? What is the connection between STOs and IPOs? In our future articles about security tokens, we will address these and other pressing questions on the security token industry. Please leave a comment or reach out to discuss further with us.